Guitar pick earrings made from a Panettone bread box & embellished with skull charms! 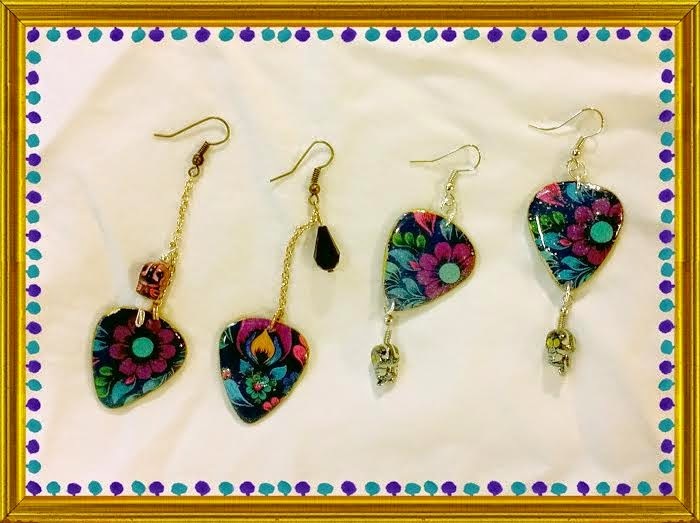 Left pair features dangle style earrings with guitar pick pendants made from a Panettone bread box. One earrings has a hot pink skull charm, the other a black gem. Right pair features earrings with guitar pick pendants made from a Panettone bread box. These are embellished with fine glitter, the bottom has a glow in the dark skull for each side.